There is a special nickname for the founders of Paypal in Silicon Valley; they are called the “Paypal Mafia.” The group came up together, supported each other, and continue to be very successful. Three of the founders, Reid Hoffman, Elon Musk (of SpaceX fame) and Peter Thiel, went on to become billionaires. 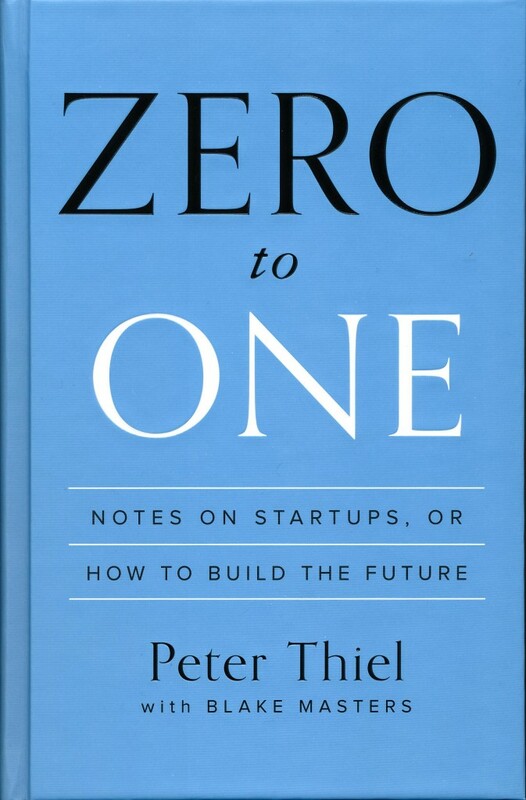 Long-time readers know that I am a fan of Thiel’s book, “Zero to One“, on the forces that surround a successful startup, and how creating a new thing, moving from Zero to One, is so different than making a small improvement to an existing business, moving from N to N+1. This week I was going over the book and noticed something new, or, at least, something I had not taken proper stock of the first time. Theil was writing about a common perception of disruption through technology, the kind of thing we saw when the Microcomputer killed the mainframe, Amazon.com killed Walden Books, and iTunes disrupted music. The topic is huge, and everywhere, and big business. And Thiel points out that we are getting it wrong — or, at least, thinking it out it in a way that is less than helpful. I found myself suddenly skipping back to re-listen to the audio, wanting to ditch the next meeting, pull my car over to the side and let the audio run in park. This guy had my attention. Theil explained that the term “disruption” originally came from big businesses that were in danger of being disrupted. The people using the term were the IBMs and the horse drawn buggy manufacturers, not the scrappy new technology companies. Apple, Amazon, and Paypal did not think of themselves as disrupters — they were too busy trying to build a product. For example, when Paypal started, it raised the profile of online payment, and people’s comfort with it. As customers started to buy off the web, VISA and Mastercard use actually increased as everyone benefitted from a rising tide. Amazon’s original vision was not to “destroy” existing businesses, but instead to sell books to people in rural areas that did not have access to a local bookstore. Apple’s Personal Computer was about bringing power to the people, not taking down the mainframe. When Apple “did it again” with iTunes, they were trying to build a store to make the iPod successful. Eliminating traditional retail music stores, and, to a lesser extent, the record labels that sold the music, was not on the agenda. Disrupting “big music” was on the agenda for Napster, which launched about the same time, quickly became embroiled in legal battles, and, after a relaunch as a music streaming service, was quietly acquired by Rhapsody in 2011. Did you even realize that Napster was still around in 2011? I didn’t. I only found out researching this article. Focusing on what we will disrupt puts the focus on the enemy, the other company, when it should be on making a product that customers find great value in. Thiel’s suggestion is to aim for a technology that is radically better than what exists (Google vs Yahoo), something that makes the entire way we think of the product category change (Apple, Amazon) or makes something possible that we couldn’t even do before (Paypal). He goes so far as to suggest that these kinds of massive benefits create a monopoly of fact, not because they have the force of law or behind-closed doors agreements, but one of technology. Paypal is a monopoly because bitcoin and Western Union are just too hard to use. Google is a de-facto monopoly because it is just that much better than Ask Jeeves and Yahoo Search. So don’t plan to disrupt. Don’t worry about the big guys. Let the big guys wake up one morning and worry about you.